NorthMyrtleBeachGolf.com can book tee times at over 80 golf courses along the "Grand Strand" from Wilmington, NC to Georgetown, SC. You can choose from any one of our Myrtle Beach golf packages or visit our current tee times page for the most current single round rates. What is the deposit to book tee times? A $100 per person deposit is required at the time of booking. Payment in full is required if booking occurs within 30 days prior to your arrival date or first day of play. When is the balance due for each reservation? Final payment is due 30 days prior to your arrival date or first day of play. For your convenience, final payments may be made over the phone with any of the CondoLux/NorthMyrtleBeachGolf.com reservationists or online. How long is my golf quote valid? Golf quotes are valid for 5 days and are subject to change without notice. What happens if golf is rained out? Golf course closings are based on individual golf course policies. Rain-outs are handled by the golf courses as RAINCHECKS towards future play. THERE ARE NO REFUNDS FOR GOLF. YOU MUST GO TO THE GOLF COURSE WITH YOUR TEE TICKET IN ORDER TO BE ISSUED RAINCHECKS. What is the golf tee-time cancellation policy? Otherwise, the group leader will be charged the full amount for the tee times. Do meals come with my golf package? A limited number of golf courses offer breakfast or lunch (or both) at the golf course's clubhouse. Breakfast is anything from continental to buffet and varies per course. How can I check golf course maintenance? Our Golf Directors are notified by each of the golf courses when maintenance will be performed. Aerification is typically performed in late spring/early summer and courses overseed for fall in late October or November. Of course, these dates are subject to change due to weather and/or other circumstances. Can I have my clubs shipped? The simple answer is no, we do not store them, keep them, and will not sign for anyone's golf clubs. If you have them sent to our office or PO box, they will be refused and returned to sender. If you need to ship your clubs, you can do so via ShipSticks. What is included with my golf rates? All tee times booked through NorthMyrtleBeachGolf.com includes green fees, cart fees, and sales tax. 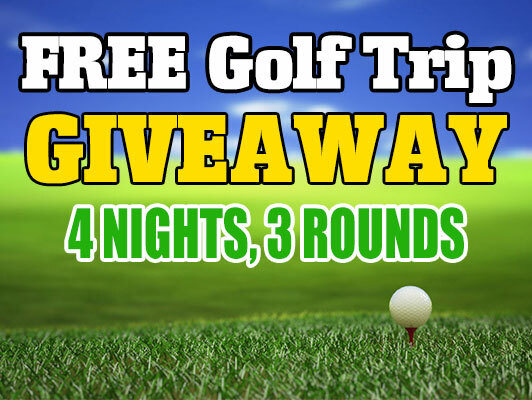 The prices for golf tee times you see on our website is the price you pay. What is the dress code for golf in Myrtle Beach? Golf courses strictly enforce proper attire including collared shirts and shorts or slacks. Clothing that is not appropriate includes: denim shorts, denim jeans, t-shirts, swimming attire, gym shorts, halter tops, tank tops or cut-offs. Shoes with spikes must have non-metal spikes while on the course. Any participant who does not comply with the dress code policy will need to change into the proper attire or not be permitted to play. Do you charge a booking fee for tee times? No, NorthMyrtleBeachGolf.com does not charge a booking fee, membership fee, or any other fee. The rate you see is the rate you pay.